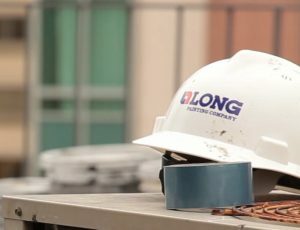 We are challenging all LPC employees to put their creative thinking caps on and come up with a slogan for a new hard hat sticker. The winning entry will be printed on a sticker. The stickers will be adorned on LPC hard hats for years to come. We encourage you to be creative! Feel free to even draw it out if you want to share your idea on a particular layout. No idea is too big or too small! Once entries have been submitted, the top three entries will be selected for you to vote on. If your slogan is selected you will receive bragging rights and a $100 gift card. The winner will be announced at the General Safety Meeting in November. Note: This contest is only open to LPC employees. Please submit your ideas by September 25th to Lisa at Lisas@longpainting.com. This is your opportunity to shine; good luck!